Audi says more PHEV models will follow it to the U.S., and right now the Volkswagen satellite company needs all the green cred it can get. Audi’s A3 Sportback e-tron couldn’t have arrived at a better—or worse—time. Six weeks ago, Audi’s parent company, Volkswagen, was outed for cheating on diesel emissions tests. So Audi’s first foray into plug-in hybrid electric vehicles (PHEVs) buffs up, if only a little, VW’s tarnished reputation in the green space. That’s a good thing. On the flipside, because the VW scandal is so atrocious, the e-trons are suddenly under extra pressure to make up for the disgraced diesels. 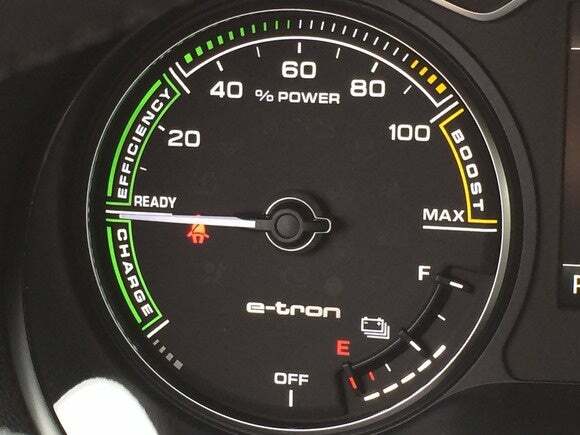 As Audi itself admits, however, this first e-tron model was designed to be a careful first step toward greener car technology. After a day of driving it, I can say it’s not much of a PHEV, but it’s the best story Audi has now, so the company should stick with it. It’s going to take a lot of PHEvs to clear the diesel fumes from the Volkswagen scandal in which Audi’s A3 line is implicated. 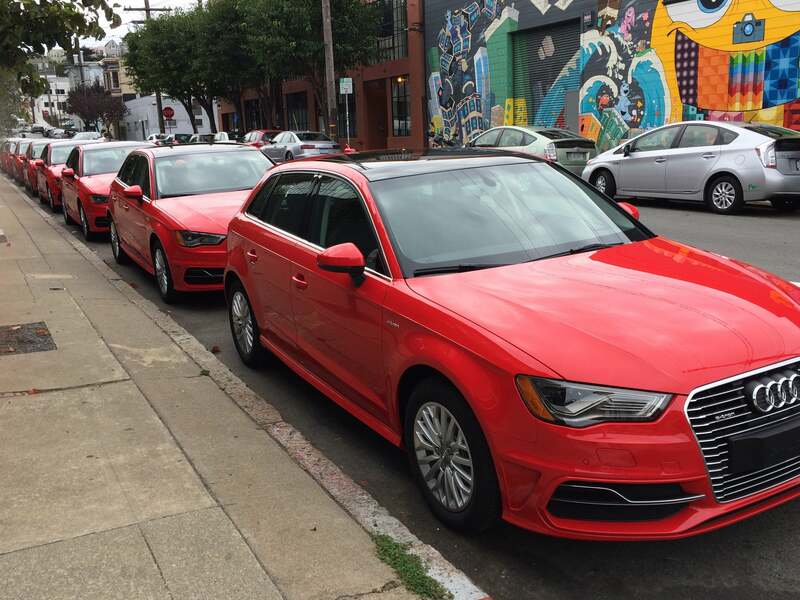 The A3 Sportback e-tron drives into an awkward situation. The A3 is the only Audi product line implicated in the VW diesel scandal. Worldwide, about 2.1 million 2.0L TDI A3s from the 2009-2015 model years will be recalled, including 14,000 sold in the United States. The 2016 Audi A3 Sportback e-tron’s EV range is a modest 16-17 miles, which we blew through quickly on our drive. Merely “acceptable” seems quite low-ambition, but Audi doesn’t need the A3 e-tron to be a hot rod. It just needs to be faster and more involving than most traditional hybrids, so it can attract people who don’t want to suffer in the name of greener driving. “If someone doesn’t buy it, it solves nothing,” Keogh pointed out. The result of this approach is an EV-only range that’s only barely acceptable: between 16 and 17 miles on the A3 Sportback e-tron’s 350-volt, 96-cell lithium-ion battery. That’s better than the 11 miles of the 2015 Toyota Prius Plug-In Hybrid, but the 2016 version of that Prius will have 30 to 35 miles of range, and the 2016 Chevy Volt’s EV-only range is a whopping 53 miles. Fuel economy looks better when seen as a whole. Audi pegs the A3 Sportback e-tron’s combined combustion-electric mileage at 83-86 mpg-e. This is respectable compared to 95 mpg-e for the 2015 Toyota Prius Plug-in Hybrid, but other 2016 models will be more competitive. The mileage on combustion-only is 35-39 mpg. Audi thinks you’ll prefer a better balance between performance and economy. 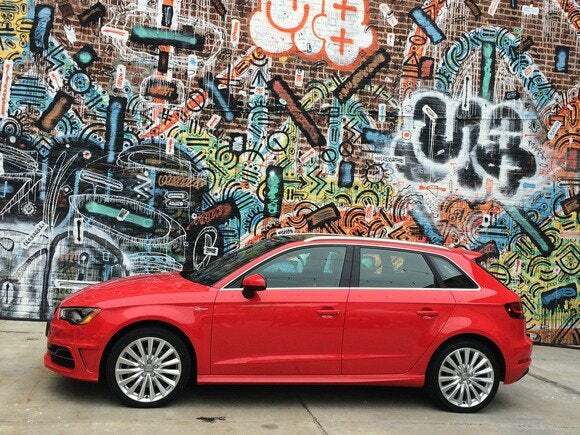 With a 1.4-liter, 150-horsepower engine mated to a 102-horsepower electric motor, the A3’s giddy-up is more inspiring than that of most hybrids. It’s also good for a combined 204 horsepower and 258 pound-feet of torque, and a 0-60 speed of 7.6 seconds (per Audi). That 0-60 spec is within the range of the 2015 gasoline-only A3 models, though on the trailing end. This was my scientific test of whether it was as fun to drive as Audi promised: When I had an opening, I floored it. The A3 e-tron took a few seconds to figure out what I wanted. Once it did, however, it complied readily. (You can adjust the drive style to be sportier—and less economical—but I didn’t try that.) More important, I didn’t experience any of the power fade that has driven me crazy in other hybrids and full EVs. 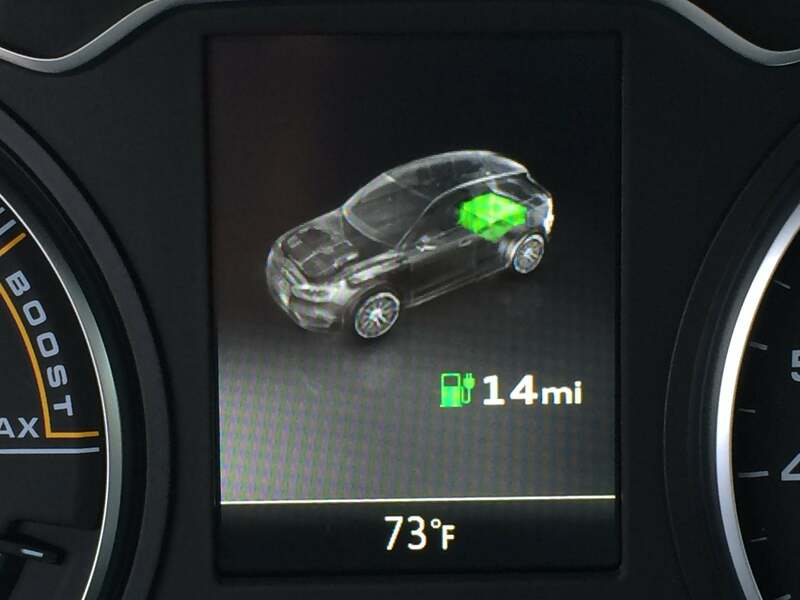 You track battery charge and fuel level on the left dial of the 2016 Audi A3 Sportback e-tron’s instrument cluster. Four drive modes help you manage the car’s gas-electric power distribution. Audi recommends most people stick with the Hybrid mode, which lets the car decide whether to use battery or gas, but you can also choose a purely EV mode, a Hold Battery mode to preserve your charge, or a Charge Battery mode to restore depleted power. You monitor the battery’s charge status with a special dial in the instrument cluster. We depleted the battery pretty quickly as we drove from San Francisco to Half Moon Bay. When we put the car into Charge Battery mode, we recovered some range pretty quickly as well. It was fun and interesting to have a little control. Keogh promised that the A3 Sportback e-tron was only the beginning of the company’s commitment to PHEV cars. “This is our first step and it’s going to be a substantial, substantial commitment,” he said, repeating “substantial” for emphasis. 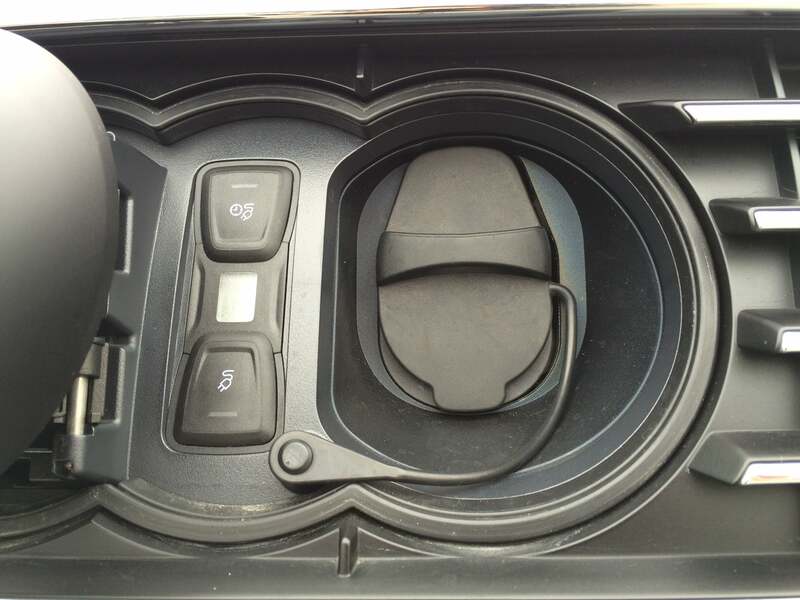 The charge port on the 2016 Audi A3 Sportback e-tron lies behind a door on the front grille. I like Keogh’s commitment to the platform. This means Audi can justify fixing the charge-port door, which feels pasted-on. You turn a little plastic latch on the front grille, and it swings out smoothly. I expected the port to close as smoothly as it opened, but this wasn’t the case. The door wiggles and flexes as you push it, and I had to fit it carefully into place. This mechanism falls short of the precise German engineering I expect from Audi, especially for a piece that will likely be used every day. Audi polishes the A3 e-tron’s green sheen with a SunPower partnership to offer solar home charger systems. Audi also invests in carbon reduction projects to offset the impact of manufacturing the A3 Sportback e-tron. If nothing else, the e-tron represents a new direction for Audi as the company finds its way out of the diesel mess. Audi wouldn’t say when the next e-tron would be coming to the United States, however, and the signs from Europe aren’t clear. The huge Q7 e-tron debuts in early 2016 with the 3.0L TDI engine. That engine isn’t implicated in the scandal, but at press time the EPA announced it was giving the 3.0L TDI closer scrutiny. At this point, any whiff of diesel fumes could be reason for pause.